As education leaders, we’re expected to have all the answers. When we don’t, we solve problems by talking to our peers. The School Superintendents Association (AASA) invites administrators and educators to come together and talk about the challenges superintendents face, like how best to integrate technology in the classroom. This is a focus of the AASA’s digital consortium leadership cohort, which recently reached out to Google to see how they could further the AASA’s goal of leading new ways to use digital media in classrooms. We also reached out to Education Reimagined, an organization that advocates a paradigm shift to learner-centered education. 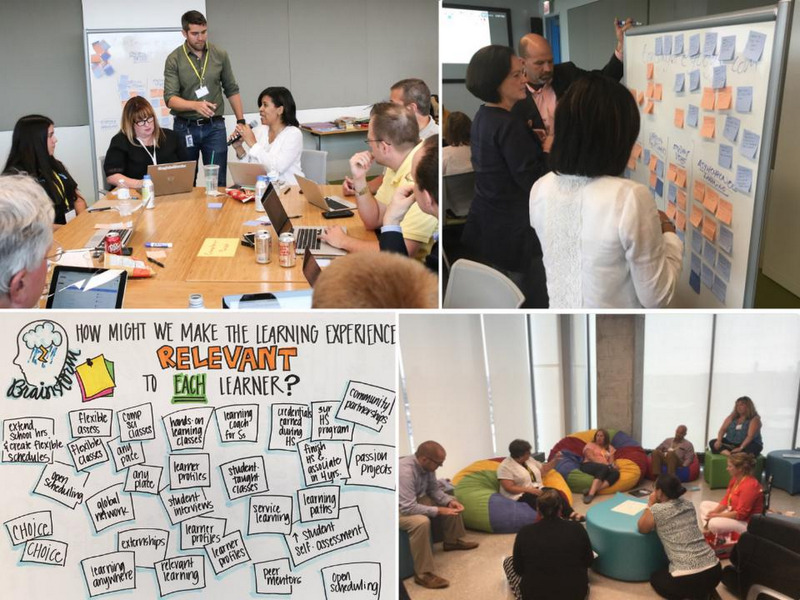 Google hosted a meeting of the AASA’s digital consortium with Education Reimagined at Google’s Chicago office in July 2016. Our discussion led us to realize we were thinking about the problem we wanted to solve in the wrong way. We had been making plans for how technology would transform our schools without considering one of the most important voices -- our students! “The group’s discussion was a powerful reminder that we don’t make decisions in a vacuum,” said Mort Sherman, Associate Executive Director of the AASA. Putting student voices at the center of everything we do will help us design the future with them and for them. This will be a long journey for all of us, but one we are thrilled to embark on. Putting student voices at the center of everything we do will help us design the future with them and for them. At the Google office in Chicago, Education Reimagined Director Kelly Young kicked off the day by emphasizing the need to put students at the center. She advocated for a student-centered approach, where learning revolves around the needs of individual students instead of traditional classroom structures. She also encouraged us to bring students to the event to make sure that student input informed all of our discussions. Google then worked with us to leverage their innovation methodology, informally known as “10x thinking” or “moonshot thinking” to help solve the challenges we were facing. It’s a version of “human-centered design thinking” that helps participants develop solutions while keeping the end-user at the center of the process. In the STAT program at Deerfield Public School District 109, students facilitate a technology review committee meeting. As we began, it occurred to us all that students are our users, and our users weren’t part of our conversation as much as they should be. Without their input, we wouldn’t be poised for success, because we weren’t empathizing with their daily experience. By going through the 10x process with the students present, we gave them a voice in a way we rarely do. As the realization of user-centric education sunk in, we were excited to share our takeaways with our schools. After meeting in Chicago, we returned to our districts to put this learner-centric approach into action. Leyden High School District 212, for example, created two student advisory board member posts, giving students the opportunity to weigh in on meaningful decisions. 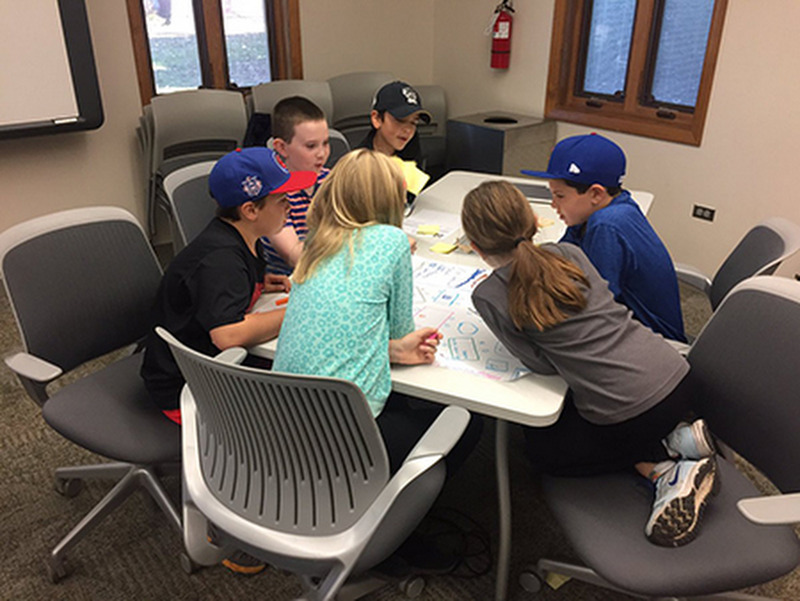 Another, Deerfield Public School District 109, set up the STAT program (Student Technology Advisory Team), in which students provide their input on how technology in the classroom impacts them and what tools, devices, or practices are relevant and effective from their perspective. These are just two examples of the learner-centric transformation happening across the country. More recently the AASA’s digital consortium re-convened in California to discuss, among other things, how we could turn this “aha” moment into action. A huge barrier to action is getting buy-in from teachers and parents, most of whom grew up in a classroom-centric education system. Consider this: each of us spends over 16,000 hours in the classroom -- that’s a lot of experience to work against. So together, we’re working to develop ways for schools to pilot learner-centric education without abruptly abandoning the classroom model. Google’s approach to innovation had us work through six questions in groups. We asked questions such as “If I look back in 12 months, how will I know I succeeded?” We ended the session with answers to some of the questions we had posed, bearing in mind our work isn’t finished. We’re still working to implement learner-centered education in schools. And it’s not easy. When we meet next spring, our superintendents will report on progress made in individual schools and districts. It took combining Google’s approach to problem solving, the philosophy from Education Reimagined and the amazing network of superintendents brought together by the AASA to help us think differently about the role of technology in learning. Now that we’ve identified the paradigm shift that needs to happen, we’re excited to share our moment of realization with districts, schools, and classrooms across the country. 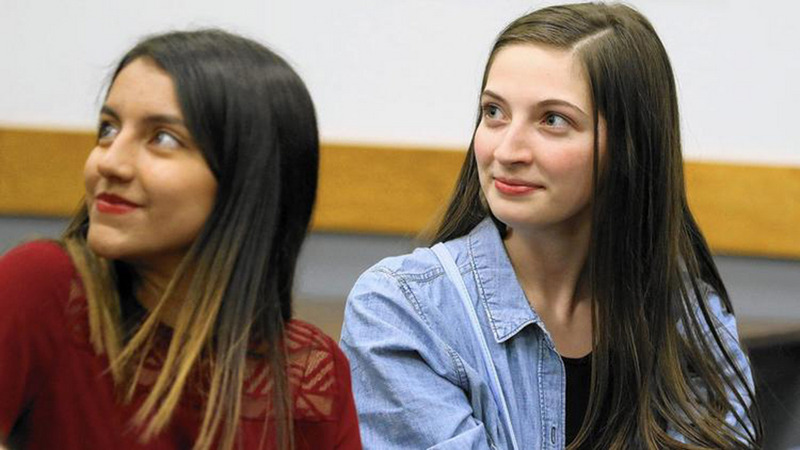 Vanessa Gallegos, left, of East Leyden and Noelle Lowther of West Leyden were introduced as student representatives for the school board during a meeting on May 12 at East Leyden High School.